With the election behind us, the NFL can't continue to pretend Donald and Hillary were the only ones distracting from the game. Given the spectacle that was this year's presidential election, it was easy for any network to blame a ratings slump on Donald Trump and Hillary Clinton. And to a point, it was true: No series, particularly "Sunday Night Football" on NBC (which aired against the second presidential debate on Oct. 9), walked away unscathed. But there are far more troubling—and persistent—reasons why ratings for the NFL this season have sprung a leak. By the numbers, the reported total viewer slippage for football versus last year at this time (through the end of October, and according to Nielsen) is 18% for "Thursday Night Football" and 24% for "Monday Night Football." Once the top-rated series in all of primetime, "Sunday Night Football" now ranks third (behind "The Big Bang Theory" and "NCIS," both on CBS) with 17.51 million viewers, and a loss of 25% year-to-year. Last year at this time it was averaging 23.27 million viewers, which was 17% more than No. 2 "Big Bang Theory." Billie Gold, VP and director of programming research at Amplifi US, mirrors the sentiments of the masses when she states "there are a multitude of factors that have negatively impacted this year's NFL ratings," and that the election "was only partially to blame." Included among the documented excuses are the so-called "bad behavior" by protesting players like Colin Kaepernick and Josh Brown, the weak matchups, the sheer number of games, the length of the games and the constant commercial breaks. But the facts don't support all these arguments. This season, the Nielsen-reported telecast times are averaging three hours and nine minutes, which is actually three minutes shorter than last year, so you can scratch that excuse off the list. Bad behavior in the media business rarely amounts to noticeable audience losses; "Dancing With the Stars" on ABC, for example, is still a solid draw despite including Olympics bad boy Ryan Lochte this season. And an analysis of Adviews data from Amplifi US shows that there is roughly the same number of ad minutes per game as last year, so you can't really point the finger at those McDonald's, Chevy or Budweiser spots. But while commercials themselves may not be to blame, I do think brand intrusion is ruining the game for a lot of viewers. 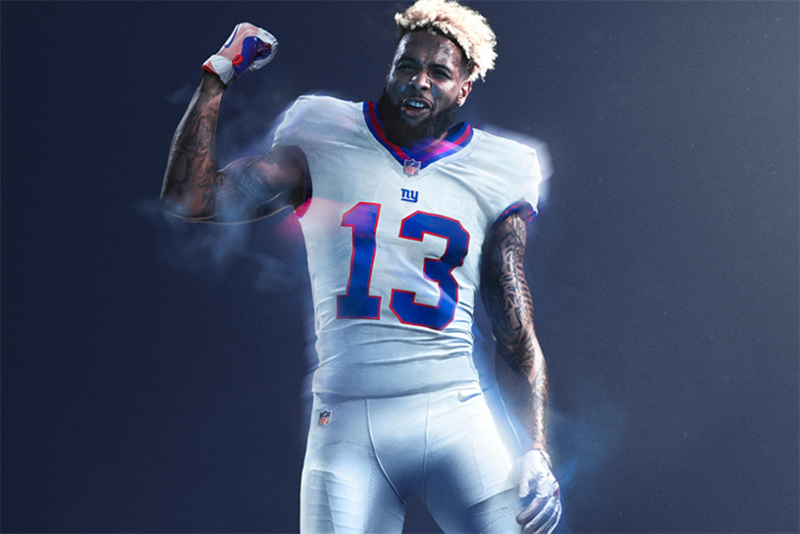 For example, Nike's Color Rush uniforms on "Thursday Night Football" do nothing to enhance the game. The broadcast networks are constantly promoting their shows during the broadcast. Commercials pods are offered at the most inopportune times. It gets monotonous. Admittedly, the football matchups this season have not been the highest pedigree; with a victory for the Seattle Seahawks over the New England Patriots this past weekend on "Sunday Night Football" proof that more viewers will watch higher-profile teams. And then there is the issue of just too many games on a weekly basis, which like any overused TV series franchise does eventually tire out. The recent addition of "Thursday Night Football" to Sunday and Monday may strike the fans as just too much. When the novelty wears off, audiences head for the remote. That's just the nature of broadcasting. But when the branding becomes too intrusive—and there are an awful lot of game stoppages and promotional interruptions in football (and all sports)—the audience, young or old, tends to get antsy. "NFL is a sports contest, and that's what viewers tune in for," said Bill Carroll, VP, content strategy, Katz Television Group. "They want to experience the excitement of the live game. But the NFL is scheduled as a TV telecast. Television is a platform that the NFL pays a lot of money for that delivers a specific audience—a great concentration of males in this case—and what might have once seemed like an event to the audience is starting to feel like the financial model for any television series. There seems to be less excitement." While conversation from the NFL commissioner points to fewer commercial pods and shorter games to stop the audience bleeding in the future, the rule of thumb should always be game first and promotion second. And, right now, it feels just the opposite.